For my family it was special in so many ways: i had a birthday, my brother and his family came to visit AND it was Harper’s first Easter! Time is flying and my baby is growing up too quickly! But I love that her personality develops more each day. Please note that we are sitting in the lobby. Harper decided that she would help the pastor deliver some of the message so we had to make a quick exit. Ha! This is the face of a sleepy baby. She had way too much fun for one girl. I’m linking up with Trendy Little @ Sunny with a Chance of Sprinkles and Too Cute Tuesday. I’m trying to establish some sort of schedule so that posts can go up on a more routine basis. But that little face pulls me in every time. Well hello there cutie! 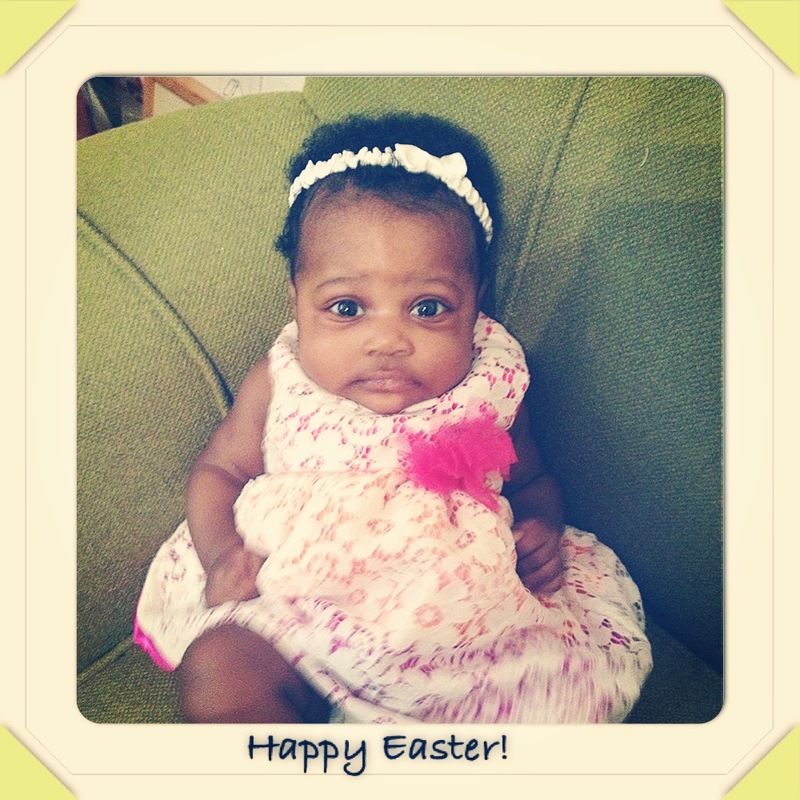 So glad you guys had a great first Easter. Oh. My. Goodness!!! She is precious!!! Y'all take the cake this week….. 🙂 HANDS DOWN the cutest post I've read YET! Your little lady is beyond adorable, girl! Thank you so much for linking up with us and sharing your cuteness! 🙂 I hope you will continue to!